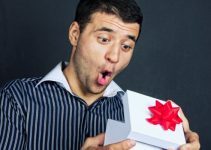 Finding the right Christmas gift for your wife can be a nerve-racking process, but it doesn’t have to be! 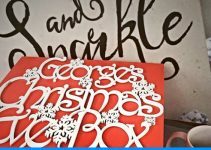 It is Christmas time, which means another year is coming to an end, but why not have it end without the hassle of stressing over which gift to get? Just because it is over does not mean that you can’t have her talking about your gift choice into the next year! 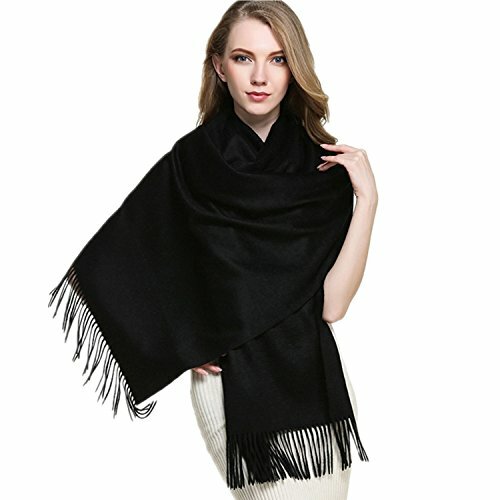 The following list of gift items is based on all price points, from inexpensive thoughtful add on gifts, to luxury items she can show off to her friends. We have compiled this list in hopes of making this a more straightforward decision for you. This list of items features what your wife might wish she could do after a long day in the office or with the kids, and also the odd item of luxury to show her she is special. Whether it is comfortable and stylish clothing, perfume, bath supplies, or many of the other products listed, we are sure you will find something that your wife will be pleased with. Choice of rose, yellow, white or platinum and white gold. Amazon Echo- White Play music, films, audio books, search online, call and message easily with voice commands. 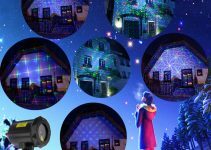 Integrate other technology in the home such as lighting to work with voice command. Christmas is a time for unwinding and relaxing with the family. Taking some well earned time off to recharge the batteries and to enjoy the people around us. To help with the relaxation, the Viktor Jurgen Neck Massage Pillow is a great partial gift for your wife. It is everything you didn’t know you needed. It provides Shiatsu (Japanese form of therapy) shoulder, back, and foot massaging with heat. 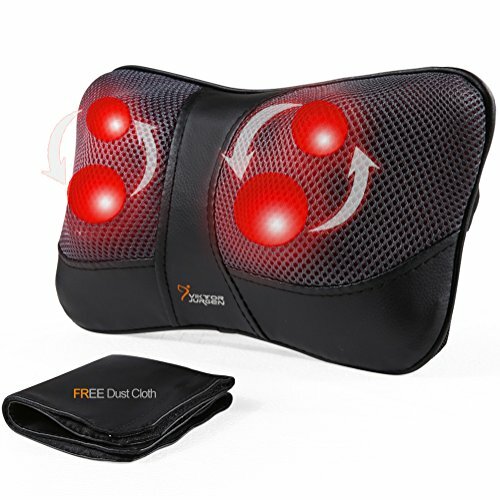 This 3D rotating massaging pillow allows for the relaxation of overused and tight muscles. The pillow is designed to fit behind the neck, in the contours of the shoulder, lower and upper back, abdomen, calf, and thigh areas. Provided with the massage pillow is a versatile dust cloth that serves to wrap around the massager to avoid direct contact of heat if needed. It may also be easily removed for cleaning. Perhaps the most exciting piece of this product is the compatibility of location. With the AC adapter and free car adapter, the back massage can be used in a variety of places- whether that be in your office chair at work, in the car, or even at home while looking at your favorite website. There is a 90-day money-back guarantee and a three-year warranty for quality-related issues making this a safe bet for part of your wife’s Christmas gift. 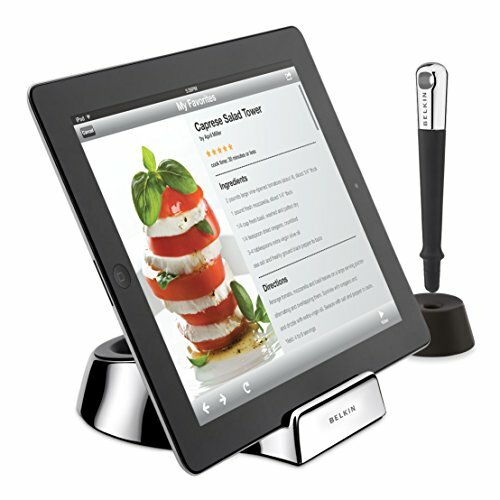 Next on the list is the Belkin Kitchen Stand and Wand/Stylus for Tablets. In a time where recipes are readily available online, this stand providing support for most tablets will really come in handy. Being in the kitchen and looking up recipes while preparing food takes up a lot of space, and chances are the homemade stand you have made for your tablet or the bulky use of a laptop does not always cut it. Perhaps the most important issue that this stand eliminates is the messy food getting on the laptop or tablet as you or your wife is attempting to read the recipe. For the mess you are averting, there is a stylus that allows for a cleaner approach. The stand is hand-washable, and case-compatible, and you will probably wonder how you ever lived without it! They say diamonds are a girls best friend. Well couple that with her favourite color of gold – yellow, white, rose or platinum and white, and you are going to get a lot of points for that. 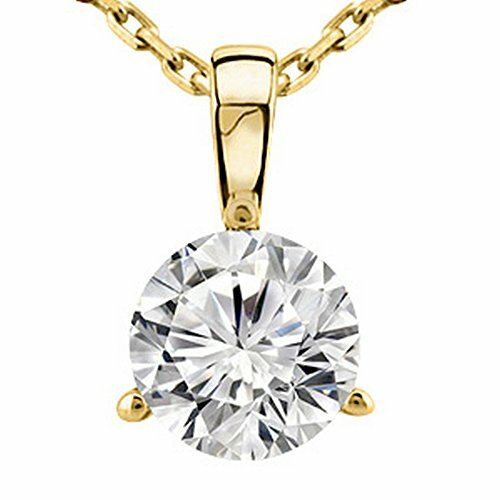 Ladies love to look and feel great, and a necklace like this, sporting a full 0.5 carat diamond and 14K gold mount and 16″ chain will really bring out that sparkle in your special ones eyes. Chandi are a luxury brand that only source conflict free diamonds, and the well cut round diamond in this item is a masterful stone at an incredible price. Show her she is special with a jewelry piece she can be incredibly proud of. It is an understatement to offer this product in terms of its music services; there is so much more to it. By using your voice to command, you can control almost any aspect of your surroundings. You also do not need to be a tech geek to understand how to do this. Some of the features it offers include playing music from Amazon Music, Spotify, Pandora, and other music services. 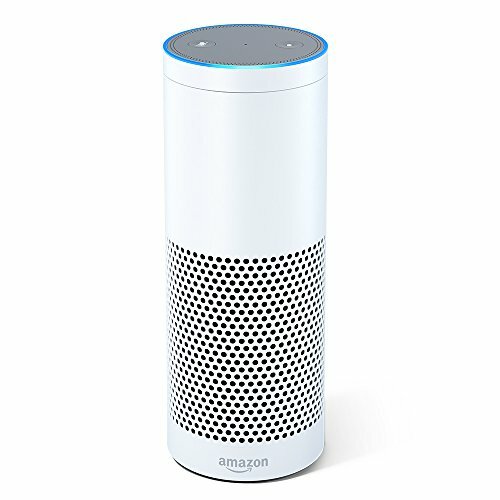 In addition to playing music, the Amazon Echo can call or message anyone with the Echo, Echo Dot, or the Alexa app just by voice command. While the music is playing, this speaker is designed and works with far-field voice recognition, meaning you don’t have to stop all activities to ask the Echo to do something. Using the Alexa Voice Service through Echo, you now have answers to the news, traffic, audiobooks, and even sports scores! Lastly, use your Echo to control lights, fans, TVs, thermostats, and more with compatible connected devices. The Echo is always getting smarter and adding new features, so if you do not see your wife enjoying these many features, know that it is always improving. is packed in a classy gift bag. Is your wife someone who likes being pampered, but neither of you have the time? This convenient spa set allows for that and more! There is a built-in hard water treatment system allowing for a soothing experience during any time of the day. I know, this feels like it could be a hassle to keep up, but it isn’t, and we will explain why. Boasting its ease in maintaining a clean environment, upkeep for this spa comes with two easy-to-replace filter cartridges for clean refreshing spa water. In order to prevent for heat loss and provide safety, an insulated cover is included. The heating system includes three-way test strips, two filter cartridges, floating pool chlorine dispenser, thermal ground cloth, inflation hose, and a carry bag. The seating capacity is limited to four people and the temperature ranges from 68-104 degrees. 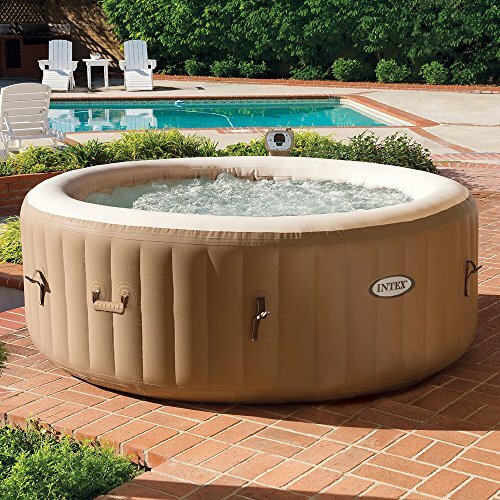 It’s much more practical and convenient than the static hot tub, she can even invite her friends. Who knows, maybe you will find yourself using this too! 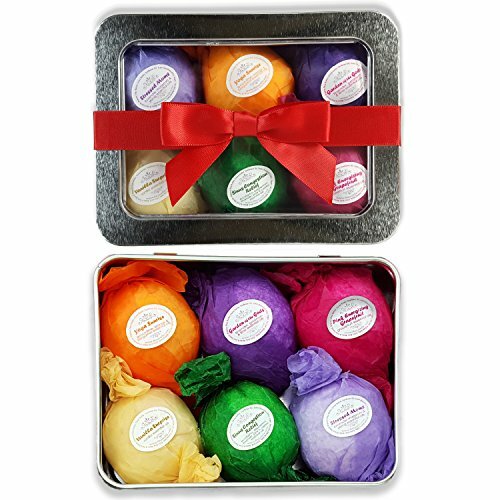 The Bath Bomb Gift Set includes six vegan all natural essential oil lush fizzies. With an incredible 4.8 out of 5 stars and 4,189 customer reviews, this is a highly acclaimed item. This product is handmade in the USA and consists of 100% pure material. Each kit contains six unique experiences that signify a specific benefit. These benefits include: Relaxation, Detox, Energize, De-stress, Sinus, and Congestion Relief with senses ranging from vanilla to eucalyptus. This is a gift that keeps on giving and leaves her feeling refreshed. Each 2oz bath bomb is individually wrapped in a unique gifted tin. The directions are straightforward and include filling the bathtub to the desired amount of warm water followed by unwrapping the bath bomb and popping it into the tub for a nice relaxing bath. This Jewelry Box is a decorative pink cross-pattern that consists of faux leather to organize jewelry. The Jewelry Box can help your wife to show off her jewelry collection. This gift idea could also serve as an inspiration for future jewelry gifts, or could maybe be accompanied by a new necklace, watch or ring for Christmas. It is medium sized and contains multiple compartments to store jewelry. 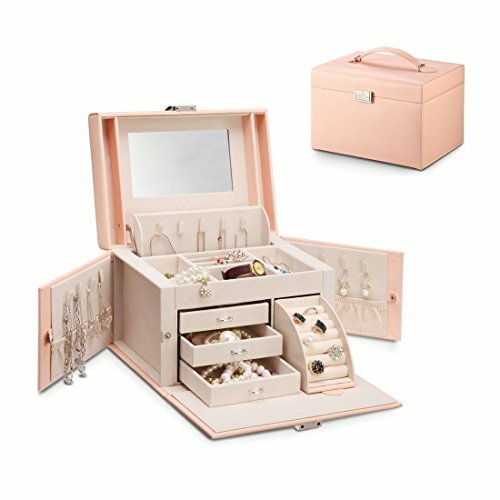 The box consists of a built-in mirror, 13 earring hangers, 8 pairs of stud earring holders, 2 pouches in the side flaps, a row of ring rolls storing up to 18 rings, 3 drawers, and 3 compartments allowing you to store your whole jewelry collection. This product will last as it is made from durable synthetic leather and a velvet lining. Lastly, how could we create a list involving bath items and relaxation without mentioning the Bambüsi Bamboo Bathtub Caddy Tray? This could be just what your wife is looking for on her Christmas Day or for any other special occasion (looking at you, Valentines Day). 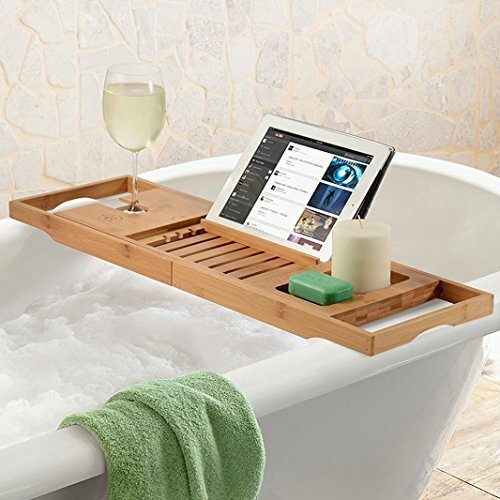 Use this tray in a bath or Jacuzzi and find your wife in front of a movie, or surrounded by candles for a peaceful evening. The Tray serves as a built-in wine glass holder, a cell phone tray, and a rustproof metal book holder that holds tablets and books safely. The material is 100% eco-friendly bamboo. If you are worried about your bathtub size, know that this product uses extending sides providing full adjustability measuring 27 ¾ when it is closed and 41 ½ when it’s fully extended. If you are for some reason not satisfied with this project, Bambüsi offers a replacement or full refund.